Have you met our Budtender, Baylee Potter? She works at Fweedom in Mountlake Terrace and was just featured as "Budtender of the Month" by The Northwest Leaf. The Northwest Leaf is a monthly magazine that delivers unrivaled cannabis journalism, with dynamic and exclusive content that you can trust and respect. And now their readership knows what we’ve known all along – Baylee Potter is an extraordinary budtender! Baylee studied natural medicine in college, and she loves helping people find an alternative to Big Pharma. An avid fan of dabbing, she can help introducing newbies to the practice – or offer tips, and strain recommendations to the more experienced dabbers. She finds the ritual of using cannabis to be comforting, and loves to help her customers find exactly the right marijuana products for their own rituals. Baylee’s a huge fan of Gold Leaf Gardens, because they are Clean Green – and because she is very focused on health. Browse our online menu to see all of our Gold Leaf Gardens products. Looking for more of Baylee’s recommendations? 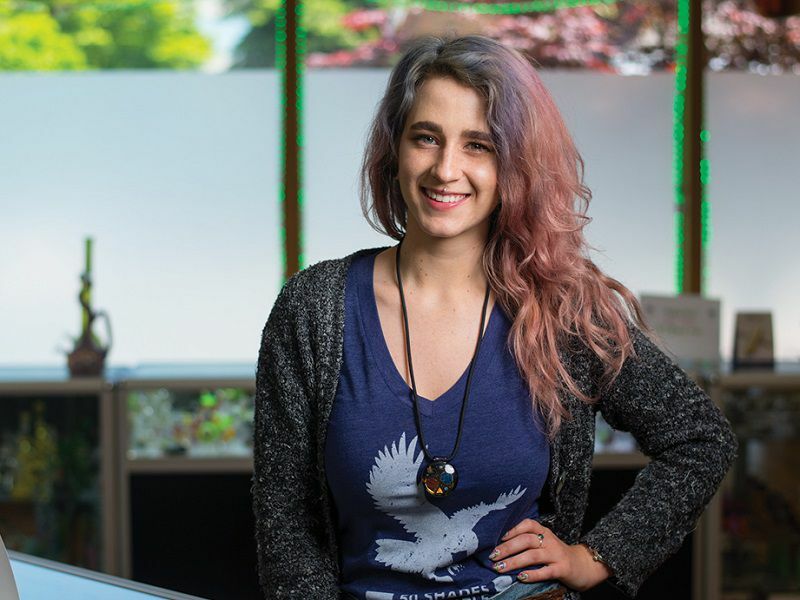 Visit her at Fweedom in Mountlake Terrace and ask about the best strains of marijuana in Washington State, plus shatter wax, pre-rolled joints, edibles and more! You can also order online for same-day pick up. The best pot shop in Mountlake Terrace is open seven days a week from 8am to 10pm.